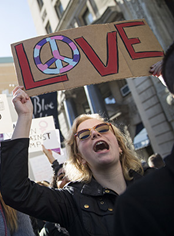 On January 20th, 2018, people worldwide came together to peacefully protest one year after the first largest women’s march. 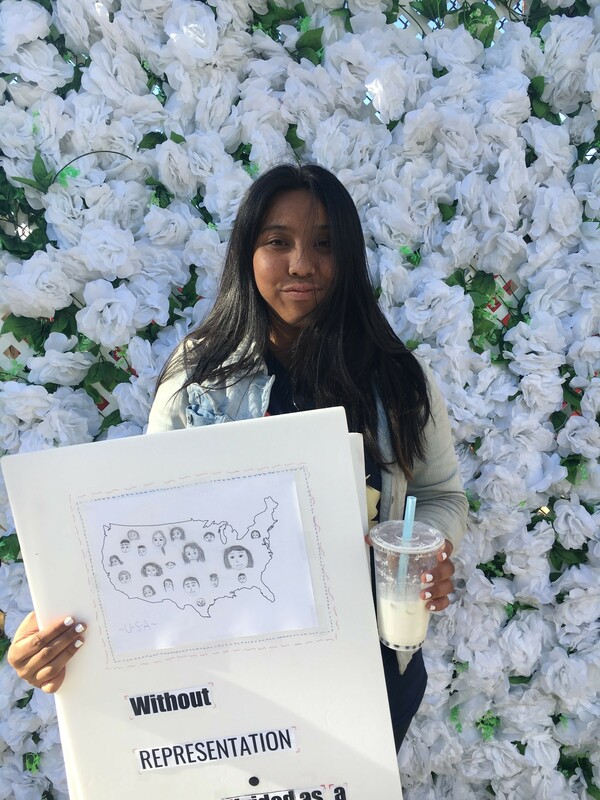 I attended the Los Angeles March for women for the first time. It gave me more confidence in myself, my community, and my country. As a mixed teen growing up on the west coast, I’ve always been surrounded by open-minded people. But, systematic racism and stereotypes became clearer to me once I got older. I noticed how men with privilege would treat women lesser than without even knowing. Although I treated them as equals and with the utmost respect, sometimes it wouldn’t change a thing. Then I became a journalist for Global Girl Media, a nonprofit giving young girls the opportunity to work in digital journalism before I started my freshman year of high school. The program showed me the inequalities of society. So, I became socially aware and passionate about advocating for human rights. 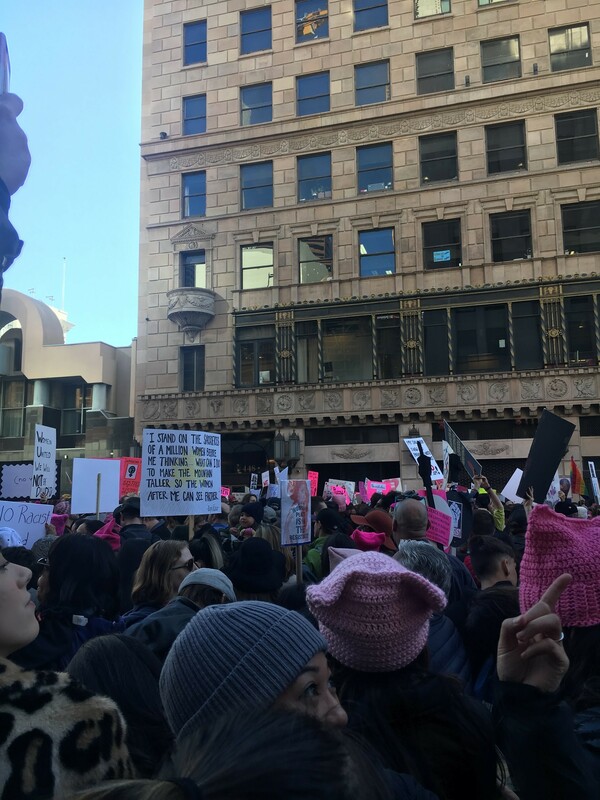 This led me to attend the Women’s March as well as other marches and protests. Also knowing how hard it was for my mom and her family to overcome prejudices against them as Chinese immigrants made me even more motivated to attend. 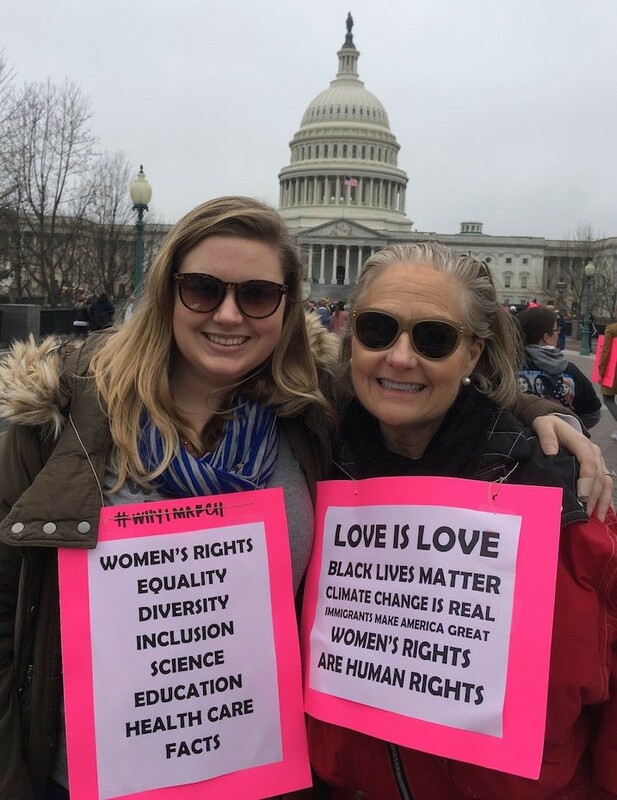 I marched for women around the world, the LGBTQ community, people of color, refugees, immigrants, indigenous people, people of all abilities and sizes, the future generation, my little sister, my immigrant family, and my friends. 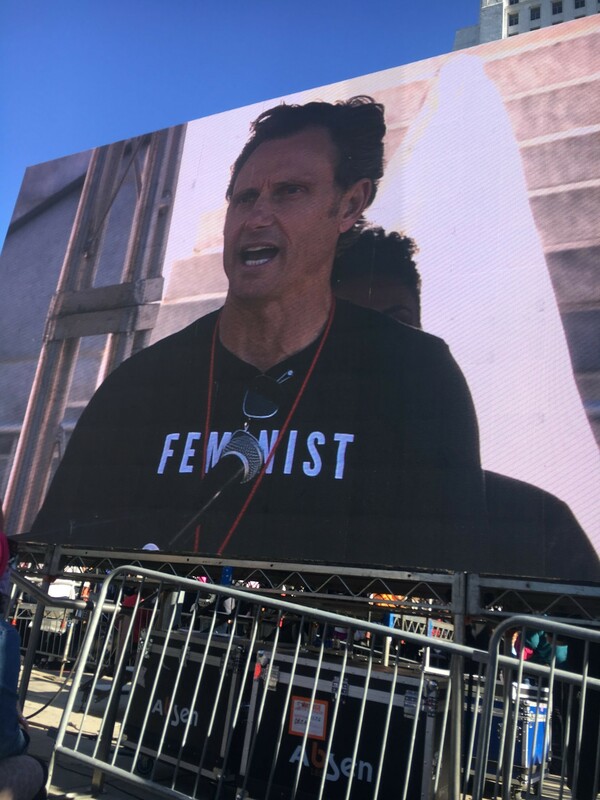 But, most importantly, I marched for myself and any woman or girl who may not know that they are worth it and they have a voice that can make a change. In America, during the women’s suffrage movement, women of color were routinely excluded. Some women of color were enslaved or had to work hard to support their families. 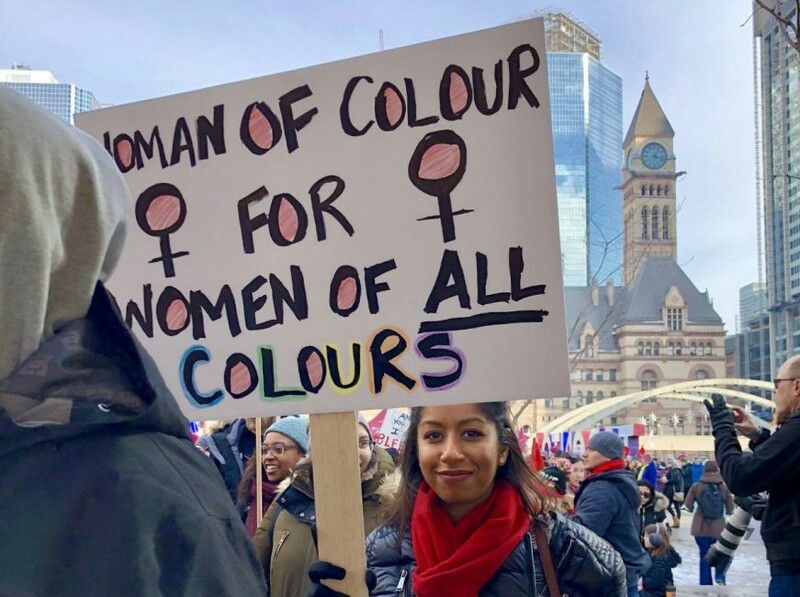 However, in more recent decades, women of all different socioeconomic and racial backgrounds have come together to fight for their universal rights as women and girls. Universally, men have privileges over women and are often treated better than women in many different cultures for generations and generations. In modern society, women have created change for rights that men have always had. People with privilege, wealth, and power began to support women more. Thus, creating a safer environment for everyone. 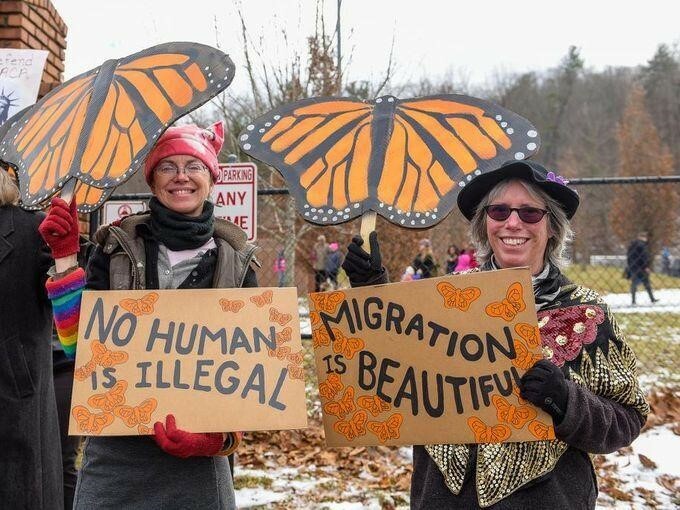 But, the women’s march isn’t just about advocating for women and girls’ rights. It’s also about supporting other minorities and movements such as Black Lives Matter, No DAPL (Dakota Access Pipeline), immigration, quality education and much more. When people support each other instead of discouraging each other, they can come together to rise up and achieve their dreams. People attending the Women’s March are fighting for human rights just as much as women’s rights because women are people too. On the other hand, some people, who do not support equality, justice or human rights, may find this women’s march is not for them. So, I’ve come to the conclusion that I feel you shouldn’t march if any of these reasons apply to you. 1. Don’t march if you support intolerance, racism, or xenophobia. You wouldn’t like the march. Especially since everyone is protesting bigotry and hate. It wouldn’t be a good environment for you. 2. Don’t march if you don’t support women's equity. If you think women belong in the kitchen and are too weak, then this march isn’t for you! Don’t even bother coming. 3. Don’t march if you believe that loving gay couples or transgender people don’t deserve the same rights as heteronormative couples. 5. Don’t march if you think men don’t have privilege. I mean this is pretty obvious. It’s a women’s march. Focusing on women’s rights. 6. Don't march if you don't believe everyone, specifically women, and girls, should have access to a quality education. Global equality for a quality education is one of the biggest reasons why people are marching here. Basically, everyone here wants that, so you should just stay home where you can keep your opinions to yourself with no judgment. 7. Last but not least, do march if you’re a decent human being, who supports human rights. Now if none of these reasons apply to you and you believe in supporting one another despite race, religion, gender, age, or ability then please do come! I promise you won’t regret it. If you do come, make sure to stick with your friends or a large group and stay safe. Also bring tons of snacks. In the past, celebrities from Viola Davis to Constance Wu gave powerful speeches and some amazing performances were led by Andra Day and Maxwell. If you do support the cause and you’re not comfortable going to a crowded protest or just want to chill at home, that’s totally fine! There are many other ways to be socially and politically active such as volunteering for local nonprofits, calling your senators to make change, VOTING, and much more. Intersectional feminism is so important now and for the future. Therefore, this march will continue for however long we have to keep fighting for our basic human rights. 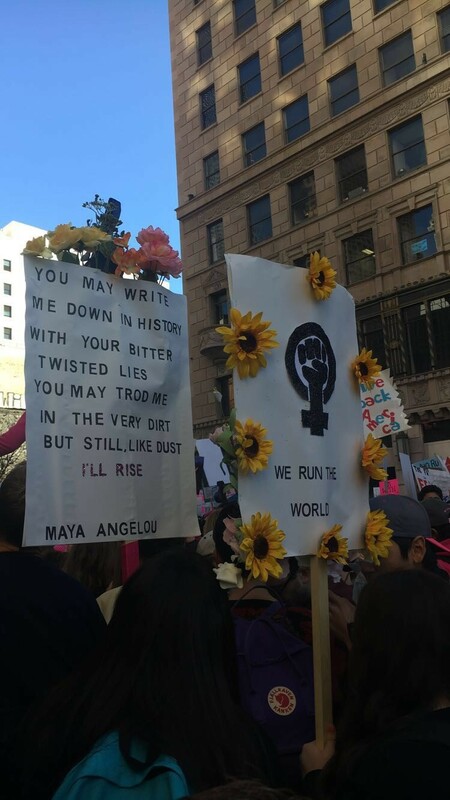 As Maya Angelou once said, “You may kill me with your hatefulness, but still, like air, I’ll rise.” And one thing is for sure, we will rise. About the author: Ariel Tan is an advocate, youth leader and participant in Global Girl Media.